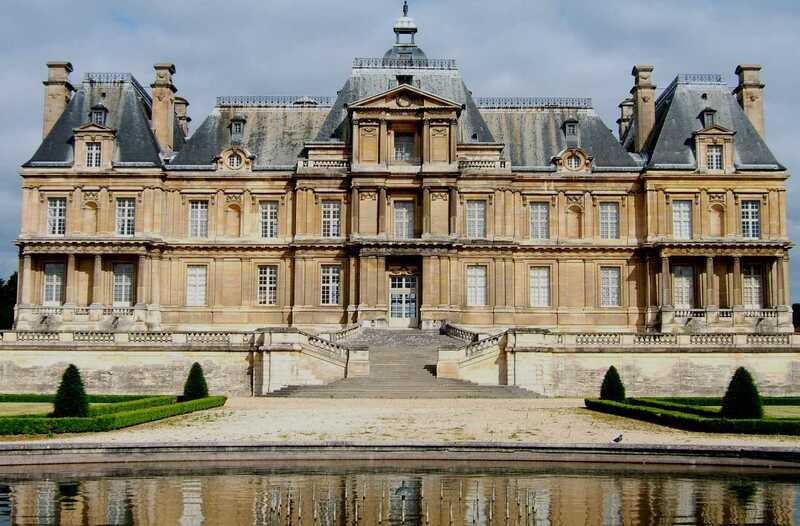 Built by François Mansart between 1634 and 1646 for René de Longueil, a wealthy Parisian parliamentarian and superintendent of finance in 1651, two years before Nicolas Fouquet, Château de Maisons has remained intact through the centuries. The Comte d’Artois bought it from the Longueil descendants in 1777, then the estate became Bien national à la Révolution. Jean Lanchères of La Glandière, supplier to the armies, bought it and sold it to Jean Lannes in 1804. Lannes undertook important works in the right wing, completely remodeling the so-called “Queen’s apartment”. He made frequent trips between two campaigns, installing his wife Louise and five children. He died prematurely in Essling in 1809. His widow, who was successively lady-in-law of Josephine and Marie-Louise, kept the estate until 1818, selling it to banker Jacques Laffitte . Napoleon made frequent visits to the castle, before and after the death of his friend Lannes. Marie-Louise also came there on a friendly visit. The castle keeps the Lannes apartment, as well as souvenirs related to the Empire.